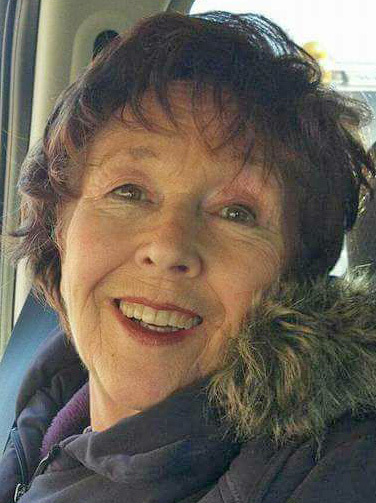 Tag Archive | "Judith DePue"
Judith “Judy” Suzanne (Ellick) DePue, 76 of Greenville, passed away Sunday, July 9, 2017 at the home of her daughter. Judy was born September 23, 1940 in Cedar Springs, Kent Co., Michigan, the daughter of the late Everett and Ilah (Crawford) Ellick. Judy is loved and survived by her children: Monique (Dave) Doolittle and Vincent (Kayleen) DePue; grandchildren: Trafford (Ashley Hattis) Giles, Stephani (Nick Dolloff) Doolittle, Nick (Tara Smith) Doolittle, Michael (Ceara) DePue, Kyle (Amber Dargitz) DePue, Donald Eikenhout, Andrea (Larry) Wiley and Graham DePue; great-grandchildren; and nieces and nephews. Judy was preceded in death by her husband of 56 years, Franklin “Frank” John DePue (April 14, 2016); and her brother, Mahlon “Sonny” Philo Ellick. Growing up, Judy spent her days entertained by her comic books, her love of animals, and her wonderful, endless imagination. Her very advanced intelligence allowed her a place as a member of Mensa and left her parents with the decision to send her to a school for the intellectually gifted, which at the time was not an option for them. As a young woman, she discovered a love of writing and drawing, as well as spending time with her horse, Sundance, who was her animal soulmate. She shared countless stories of her adventures with him. At age 19, Judy met her husband to be, Frank DePue, at a dance. She sat down by him because, in her words, “He looked harmless.” It wasn’t love at first sight but in time turned into an amazing love story. They, along with their two children, Monique and Vincent, embarked on many wonderful endeavors. They were owners of the Double D Saddle Shop, owned a hobby farm, and ultimately opened Animal Crackers Farm Petting Zoo. Judy’s knowledge and love of animals, along with Frank’s radiating personality, made for the perfect partnership. Most of Judy’s family would agree that she was one of the strongest, most stubborn women on Earth. At the end of her time with us, she struggled with health issues for many years and lived for nearly 5 years with lung cancer. Even through her illnesses, she never lost her passion for animals, reading, and drawing. She was an amazing mother and grandmother, and she instilled her gift of imagination and whimsy with her stories. Her favorite thing to do was to talk. Everyone who knew her, knew they had better plan on some extra time if they were going to visit with Judy. We will miss her beyond comprehension and take great comfort in knowing that she has been reunited with the love of her life, Frank. We all imagine that they are dancing once again. Memorial Services for Judy will take place at 1:00 p.m. on Wednesday, July 19, 2017 at Hurst Funeral Home, with Pastor Ken Harger officiating. Visitation will be Tuesday from 6 – 8 p.m. Memorial contributions may be made to The DePue Family c/o Monique Doolittle. Memories and messages of condolence may be shared via www.hurstfh.com.